Sangeetha holds a joint position in MSSI and as a lecturer and researcher in the School of Geography, Faculty of Science at the University of Melbourne. 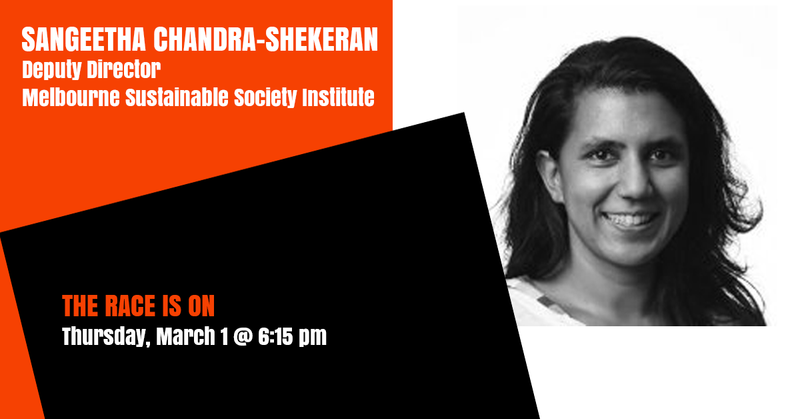 She is an economic geographer with a focus on the political economic dimensions of environmental change. Sangeetha’s research is motivated by the challenge of deep decarbonisation and the political-economic complexities involved with changing large socio-technical systems. She has focused on the energy sector where she has looked at the evolution of demand management; marketization and social equity and environmental outcomes; metering roll outs and consumer/citizen benefits. Prior to undertaking her PhD Sangeetha worked in climate change and energy policy.